Dior’s Cruise 2019 show in France featured models that were seemingly unfazed by the heavy rain as they walked down the show venue (an open air rodeo-inspired space), an attitude that’s definitely influenced by Creative Director Maria Grazia Chiuri. The bag line-up was stellar, featuring the ever-popular Book Tote and Saddle Bag which made appearances in seasonal variations and prints, but there was an all-new silhouette that pretty much stole the show for some. Known as the Diorcamp Messenger, it’s a sizeable piece measuring 28.5 cm by 25 cm that’s meant to be carried across the body or over the shoulder for an effortless and casual look. Available in a single size, the bag opens via two front straps to a roomy interior (with a depth of 12 cm) that’s perfect for fitting everything you need on a day out. And while the bag might be under the womens’ collection, its structure and style does make it a unisex piece that even the boys can carry to perfection. It is casual, it is lightweight and one of the styles comes in the #DiorOblique pattern that everyone loves. 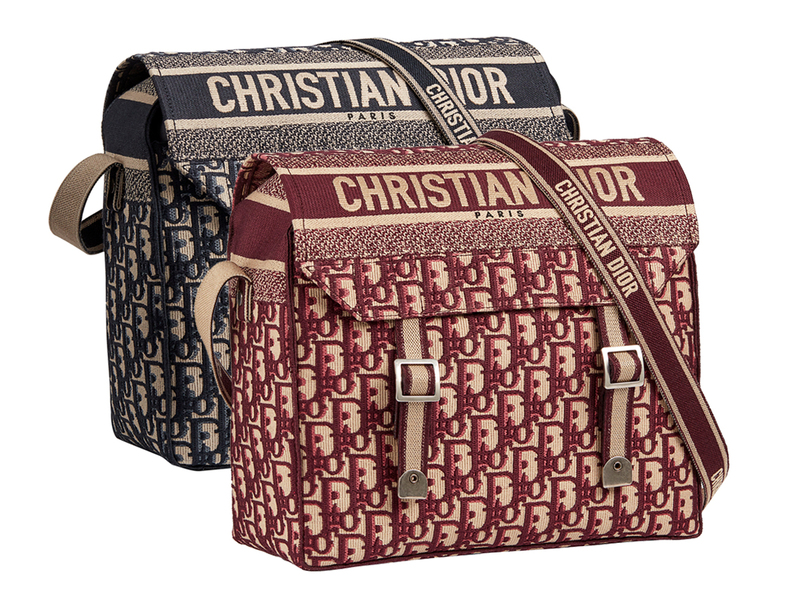 Priced at SGD4200, this is the one to get if you’re a fan of all things monogram. Also, there’s another in green graffiti embroidered canvas that does have a military vibe to it, one that the boys will definitely appreciate. Priced at SGD3700, you will be pleased to know that both bags are now available at Dior boutiques in Singapore.